This Louis XIV style chandelier originates from early 1900s France. Retaining it’s original glass it is a stunning centre piece. The silver nickel plated frame has varied natural patina. The crystal drops and glass flat leaf drops attach to the frame with glass rosettes. It holds nine lamps in total. 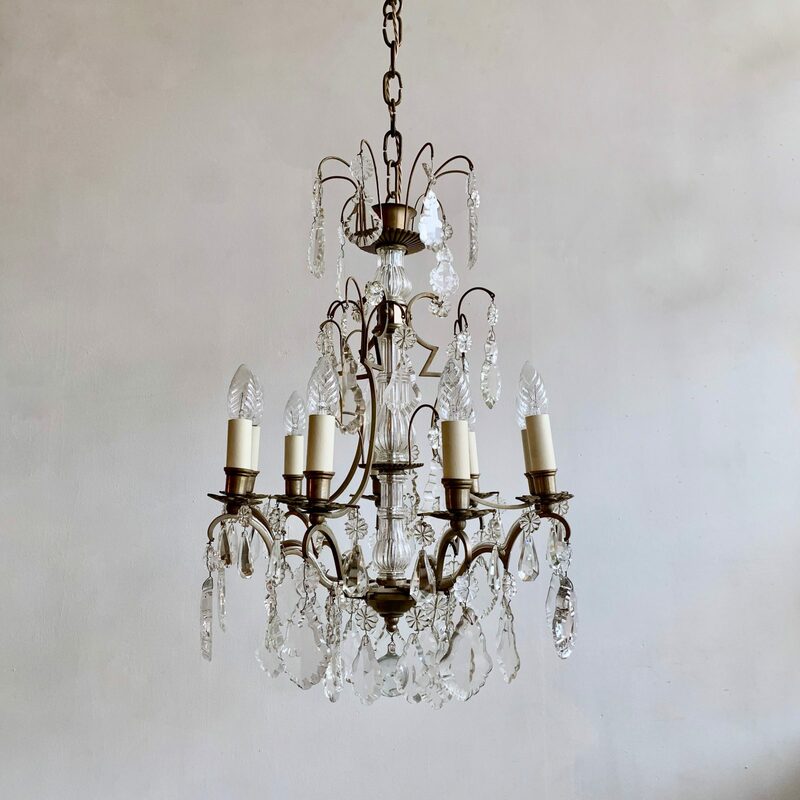 The chandelier comes supplied with braided flex and it’s original chain and small ceiling rose and a chandelier hook plate. Chandelier requires SES lamps, these are not included.